Constellation Software Inc announce the acquisition of Conasys Inc.
Markham, ON, December 19, 2014 – Constellation HomeBuilder Systems (“CHS”) is proud to announce the acquisition of Conasys Inc., a market-leading technology company whose interactive homeowner care platform helps homebuilders to nurture relationships with their homebuyers as they ease into their new home. 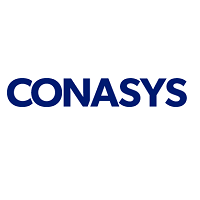 Conasys will continue to operate and grow out of its Vancouver offices, and will continue to develop and enhance its existing product line, which includes web portals for homeowners and builders. The platform allows builders and developers to provide their new home and condominium buyers with an engaging, easy-to-use portal to instantly access the information they need. Constellation welcomes all Conasys customers and will continue to provide world-class solutions and services as a long-term technology partner in the homebuilding industry. Constellation is your homebuilding software partner, and our team is excited by this opportunity to enhance the software solutions we provide to builders and developers across North America.